Ultra high-capacity portable charger with dual USB port with 12000mAh rechargeable battery power capacity. Super-fast charge output (5V/3A) though dual USB ports (5V/2.1A and 5V/1A) allow for simultaneous charging of your iPad, iPhone, Android, and more at high speed. 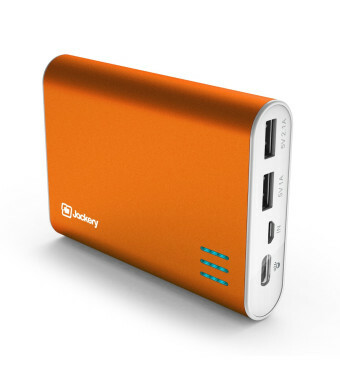 This power pack and external battery charger adds 500% - 600% extra battery life. The world's largest capacity external battery pack and portable charger; Fits easily into any bag or pocket; Compact, portable & stylish design; Easily fits into your bag to provide instant power; Perfect for long flights, road trips, or whenever you need to charge your mobile devices; often used as a substitute for a car charger, such as an iPhone car charger, dual USB car charger and iPad car charger. 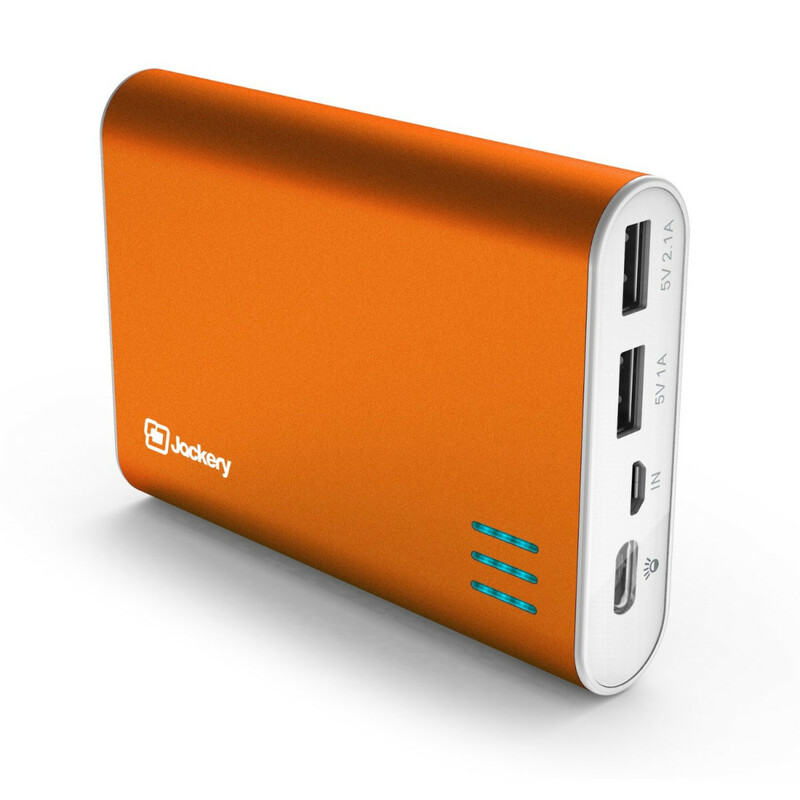 Package includes: Jackery Giant+ External Battery, premium Micro USB to USB 2.0 cable. Panasonic grade A Li-ion polymer cell and premium microchips create high-quality portable charger; Premium aluminum case; Secured battery safety with 4 layers of smart safety protection circuit; Advanced power lock technology with standby time up to 6 months after fully charged. 500+ recharge cycles over the life of the battery. 3 LED indicators to show the charging and discharging status equipped with flashlight. Jackery Giant+ can be used for Samsung Galaxy S5 charger, Samsung Galaxy S4 car charger, Samsung Galaxy, S3 extended battery, Samsung Galaxy S2 battery, iPhone 6 portable charger, iPhone 5s portable charger, iPhone 5c charger, iPhone 5 charger, iPhone 4s portable charger, iPad external battery, HTC battery bar, and much more.